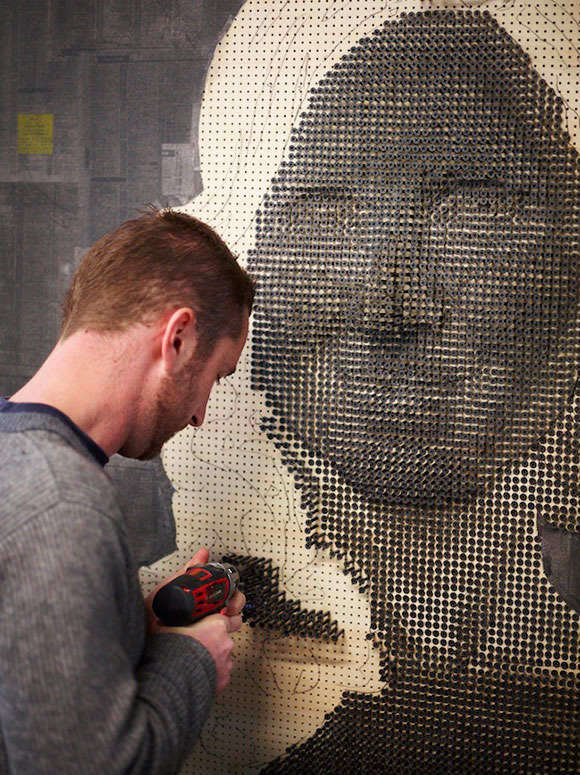 Andrew Myers draws out a face and pre-drills 8,000 to 10,000 holes, by hand. As he drills in the screws, Myers doesn’t rely on any computer software to guide him, he figures it out as he goes along. “For me, I consider this a traditional sculpture and all my screws are at different depths,” he says.